You can use other chopped herbs in this soup, like tarragon, marjoram, chives or thyme. The soup can be served warm or chilled. A French cook might add about 1/2 pound Boston or butter lettuce to the pot before the mixture is simmered. Heat olive oil in a large saucepan over medium-low heat. Add the onion, celery and garlic; cook and stir often until tender, 5 to 8 minutes. Add the peas and chicken broth. Bring to a simmer. Add lime juice; season with salt and pepper, to taste. Cool slightly and puree soup in a blender, in 2 batches. Stir in fresh mint. 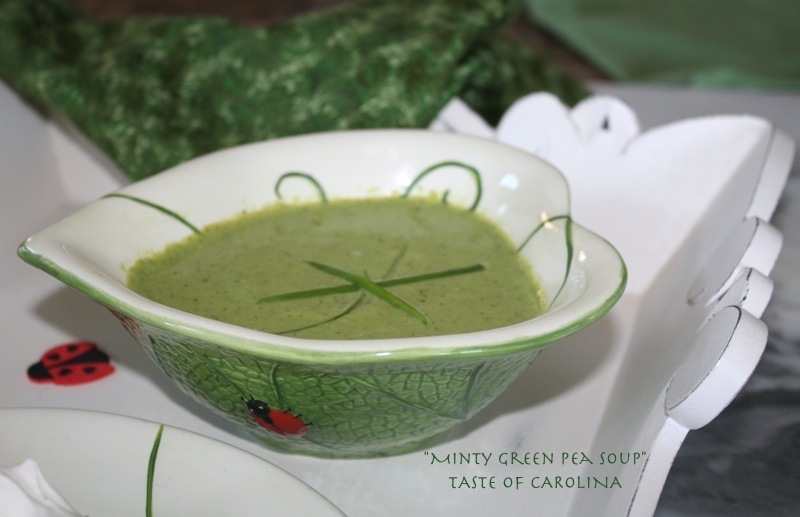 Soup can be reheated and served warm, or chilled before serving. Sour cream can be whisked into the warm or chilled soup, or simply swirled on top of each serving. Taste soup and adjust seasonings, if desired. Garnish and serve. Preheat oven to 350 degrees. In a medium bowl, combine cookie crumbs, sugar and coconut; mix in melted butter. Pat crumbs into an 8-inch-square baking pan. Bake for 5 minutes; cool. Grate zest from 1 lime; add to a mixing bowl. Squeeze ½ cup plus 2 tablespoons juice from 3 limes and add to bowl. Whisk in conde/nsed milk, egg yolks, green color, vanilla and salt. Add sour cream; whisk just until smooth. Pour into crust; bake 12 minutes. Cool for 1/2 hour. Chill at least 1 hour; top with whipped cream. 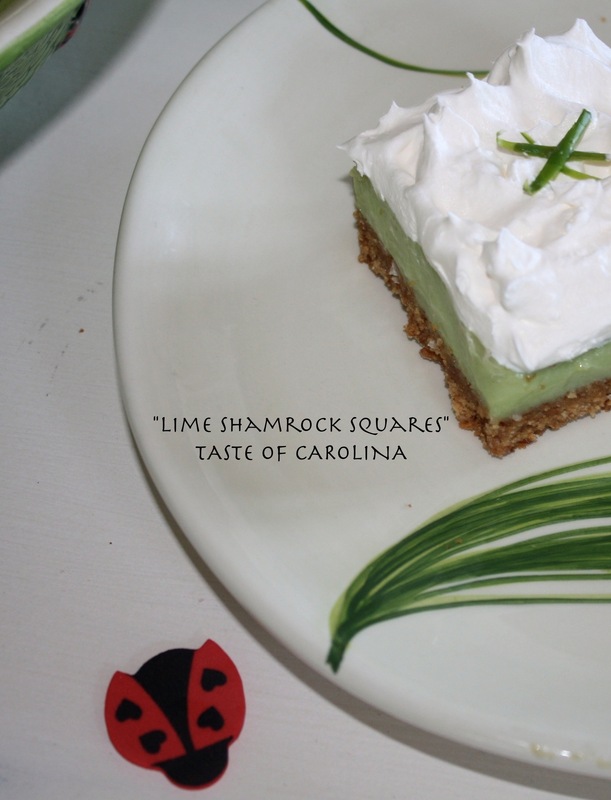 Decorate each piece with a shamrock cookie or a fresh lime slice. Serves 6 to 8.